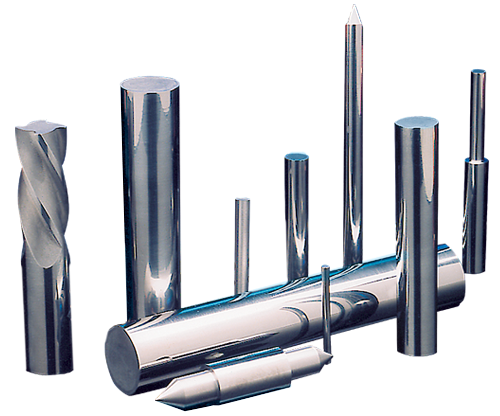 Hydro Carbide Tool Company is one of the leading manufacturers of tungsten carbide rod products in the United States. For producers of rotary tooling, Hydro Carbide specializes in the trade marked 10% sub-micron grade Ramet1®, our fine grain carbide grade- HC-292 for diamond coating applications, C-2 and micro-grain HC-US06, HC-US10, HC-US11, Ramet 1® and HC-US16 (which replaces high speed steel in numerous applications) and our ultra-fine grain carbide grade HC-UF08, HC-UF10 and HC-UF12 for thread mill and other edge retention requirements. Delivery of all standard pressed rods in inch and metric sizes is usually from stock. Special grades, sizes and shapes can be manufactured to customer specifications. Utility or finish ground rod is available in lengths up to 12 inches.